Updated with St. Louis on the Air interview. The "Teens Make History" Players and are getting paid to act — but first they have to work through very serious issues and distill their findings into a play. Since 2007, this work-based program of the Missouri History Museum, brings together students to research, design and mount exhibits at the museum or to bring St. Louis history to life through their plays. Romiyus Gause, right, plays troubled teenager Bobby in the play written by teens at the Missouri History Museum. “It feels like I’m on Broadway,” said Romiyus Gause, who has been with the program for six years. This summer’s play, "St. Louis Now," is in conjunction with the 250 in 250 commemoration of the city’s anniversary. But rather than look at something in the distant past, the teens decided to address gang violence in the city, an issue that affects many of their day-to-day lives. Payne says meeting other students who have experienced similar tragedies has made Teens Make History a safe haven of sorts. “Knowing that you don’t have to go through these things by yourself and you can talk to others and they can relate to your story, a better mindset is carried on when you come here,” Payne said. Ellen Kuhn, Amesha Payne and Romiyus Gause share their experiences with Teens Make History, and this year's "St. Louis Now" production. "St. Louis Now" follows the story of Bobby, a young man who feels compelled to turn to gang violence after facing a series of losses in his life. Students used their personal experiences when writing scenes. “I had to think about fights and arguments I’ve had with my friends to make them realize what they’re doing is wrong,” said Taylor Luster. Luster plays Maggie, Bobby’s best friend who tries to dissuade him from getting involved in a gang. 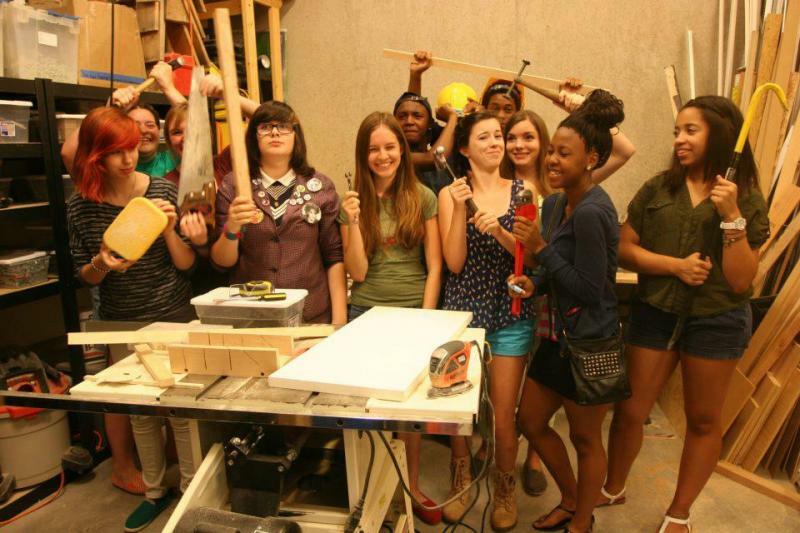 The thirteen Teens Make History Players spend their summer performing at the Missouri History Museum. Elizabeth Pickard, founder of the program and director for interpretive programs at the museum, applauds the students for voicing their concerns about gang violence. The program runs a full year, but the time commitment really ramps up in the summer. Ellen Kuhn, teen and interpretive programs coordinator at the museum, says Teens Make History provides more than just acting experience. The students applied for the positions upon completion of the Teens Make History academy, an eight-week course during which they learn about the different aspects of museum management. The Royal Scars, in purple, defend their turf against a rival gang. The students have used acting to not only raise awareness about issues, but to deepen their appreciation for history. Many of the students didn’t particularly enjoy the subject prior to joining the program. Holmes and her peers agree that the added emotion that acting provides brings history to life, making the subject more relatable and enjoyable. But Teens Make History isn’t just for actors. In addition to the Players, the Exhibitors develop exhibits at the museum. The first project they completed was an exhibit on veterans. Kuhn says it’s an extensive process. The Exhibitors are now researching for the museum’s upcoming immigration exhibit, which will also be complemented by a Teens Make History play. You can watch the teens perform Wednesdays and Thursdays at 11 a.m. and Saturdays at 2 p.m. in the Lee Auditorium on the ground floor of the Missouri History Museum. The show runs through Aug. 2. Teens also can sign up for the Teens Make History program on the museum's website, mohistory.org. St. Louis on the Air provides discussion about issues and concerns facing the St. Louis area. The show is produced by Mary Edwards and Alex Heuer, and hosted by veteran journalist Don Marsh. If someone were to tally the number of St. Louis area students participating in career training at arts institutions and compare that to the numbers in other local industries, the arts might possibly win. The Contemporary Art Museum, alone, draws hundreds of students into its pre-professional programming each year. And not only are the exciting, pre-professional youth programs at CAM and the St. Louis Art Museum free to participants, some pay a stipend. 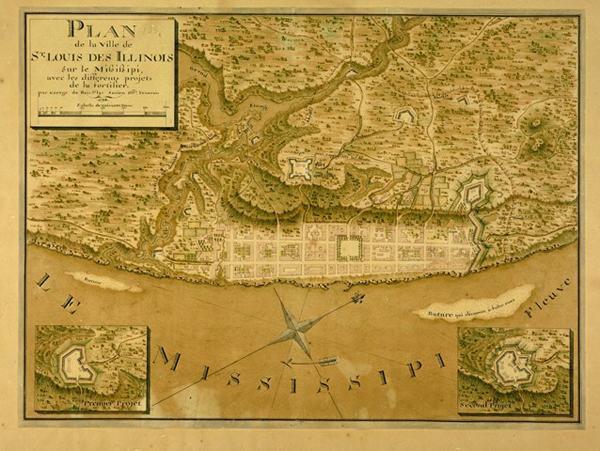 On Friday, February 14, 2014, The Missouri History Museum hosted “A Great City from the Start,” a one-day symposium commemorating the founding of St. Louis. The foremost experts on early St. Louis history spoke before an audience that included representatives from Quebec, France, Spain and the Osage Nation.